Headlines, hot news, and conversation starters on September 14, 2015! 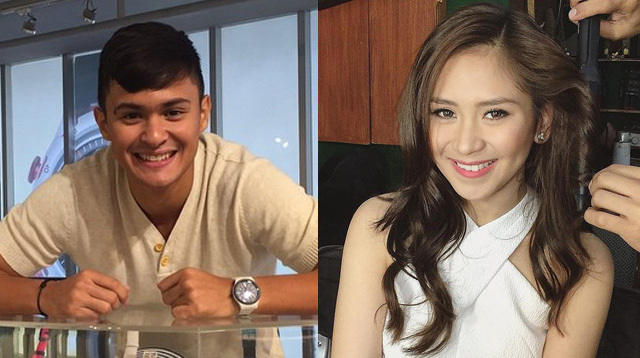 @justsarahg flew to #cebu to comfort @mateoguidicelli on the passing away of his beloved Lolo Nono . I know how much comfort this must have brought to Matteo because he s super close to his lolo . 3 Meadow Walker, daughter of the late Paul Walker, launched the Paul Walker Foundation, an organization committed to developing and protecting the ocean and wildlife. “I found myself reflecting on his passions. His passion for the ocean, his passion for rescuing animals, his passion for helping people and his passion for spontaneous goodwill. I wanted to start this foundation because I want to share that piece of him with the world. I want to share that part of him with others. I am tremendously proud to be launching The #PaulWalkerFoundation (@paulwalkerfdn) on his birthday. I can't think of a better way to celebrate my father,” Meadow wrote on Instagram. 5 Andre Paras stole a kiss from Yassi Pressman during their Candy Fair 2015 performance on Saturday, September 12. In the middle of their dance number, Andre quickly smooched Yassi’s cheek while she wasn’t looking, making the crowd go wild and super kilig!